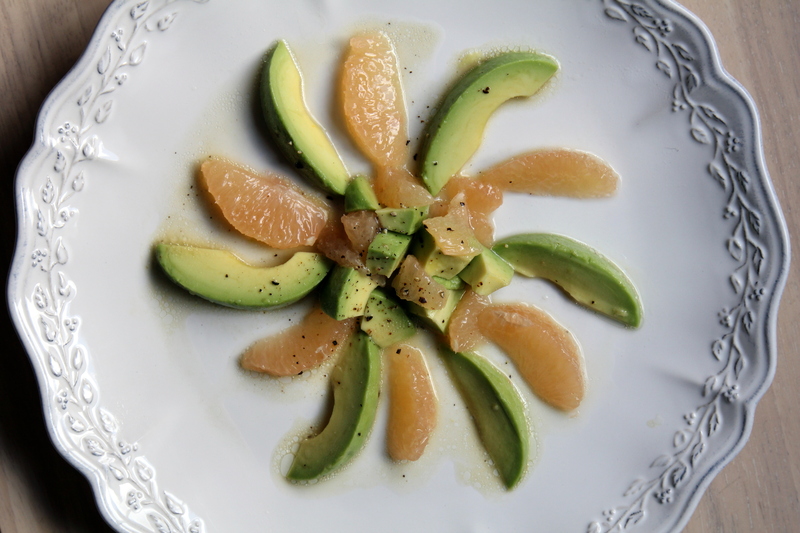 Avocado Two Ways [recipe] – Cin Cin, Let's Eat! I had my first taste of avocado when I was in 5th grade, on a family vacation trip to Thailand. It was at a very touristy restaurant, of what type of cuisine I cannot remember, and it was in a form of a shake. At the time, avocado fruits were expensive and not widely available in Taiwan, where I grew up. But I didn’t order the shake because I wanted to taste it, I ordered it for the novelty aspect, to consume a green-colored drinks. It was rich and creamy, but somewhat bland, not super memorable. But I could see where the Chinese nickname for avocados, “butter fruit”, came from. I reacquainted with this green fruit after moving to California in 1996. They were sold in every supermarket, and they were in salads, burgers, sandwiches, and oh the guac! I was in love! That shake in Thailand did not do avocados justice. Not even close! Seriously, give me a bowl of freshly-made guacamole and I’ll just eat it with a spoon. But actually, my favorite way to eat avocados is to enjoy them in their simplest form – Slice them up, drizzle them with some Japanese Kewpie mayo (It has to be the yolky Japanese mayo, Best Foods just won’t cut it), and sprinkle with salt and pepper. So creamy and buttery, it’s one of the simplest pleasure in life. I sometimes also add juicy slices of tomatoes or cubes of good quality medium firm tofu. But sometimes I crave for a bolder flavor. 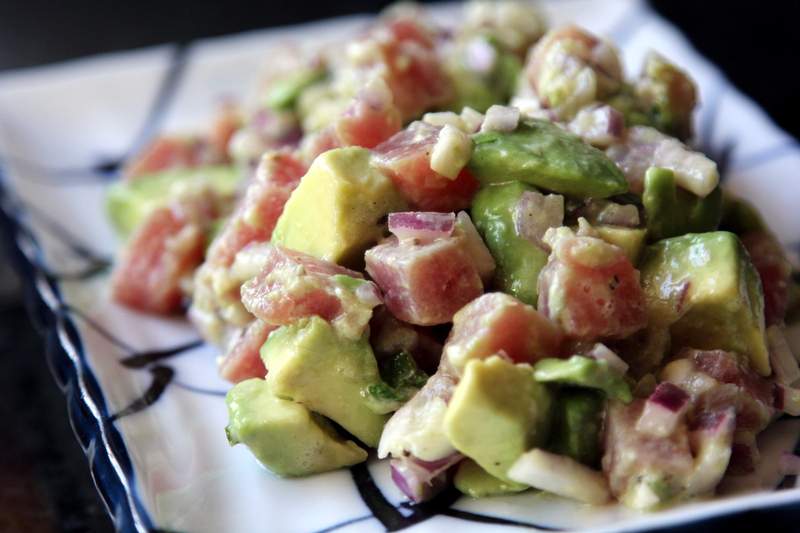 Here are two flavor-packed recipes with avocados that I just adore. To me, avocado is one of those ingredients that just adheres and takes on the flavor of whatever it is that you’re cooking. But it also elevate the taste by adding a touch of buttery richness. Plus, did I mention that it is a very beneficial fruit, high in vitamins and helps lower cholesterol? A simple, tried-and-true recipe from Ina Garten, aka the Barefoot Contessa, that’s just perfect anytime of the year. It’s not a combination that I would ever try, but I’m so glad I did. 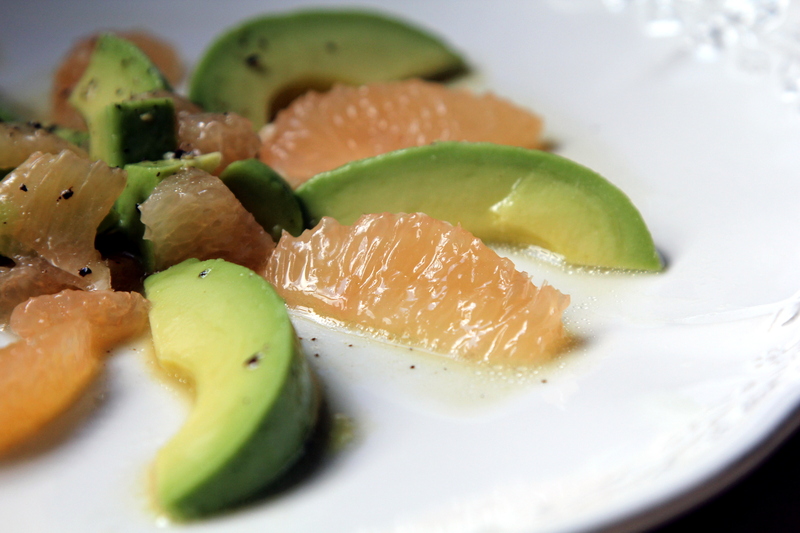 The richness of the avocados and the tart and juicy grapefruit really complement each other perfectly. If you can manage to score some extra sweet Ruby Reds, that’d be even more awesome. This second recipe was inspired from many Japanese fusion restaurants around. I started seeing avocados being paired with salmon and tuna in tartare-like dishes, just like putting them in sushi rolls. Delish! So I thought I’d take a standard ceviche dish and turn it slightly Japanese by adding some ginger, sesame oil and skip the heat. Serve immediately with tortilla chips, or spoon them into butter lettuce cups.